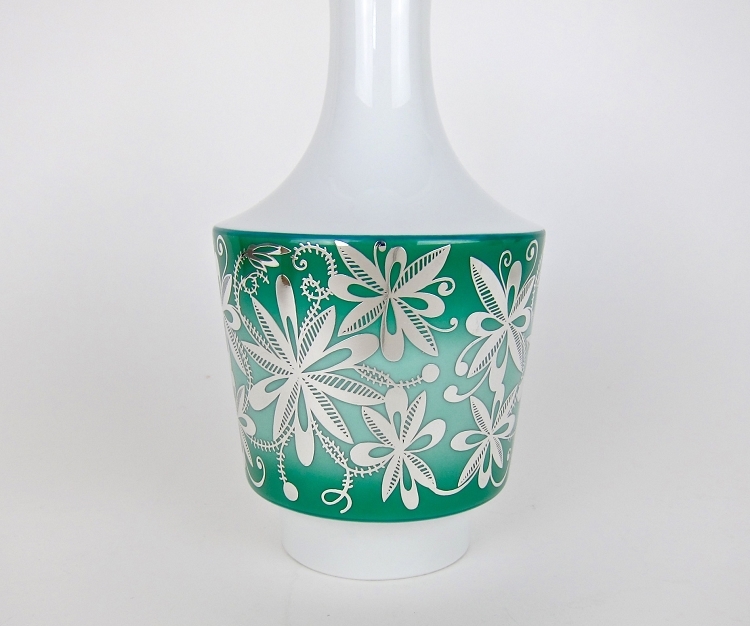 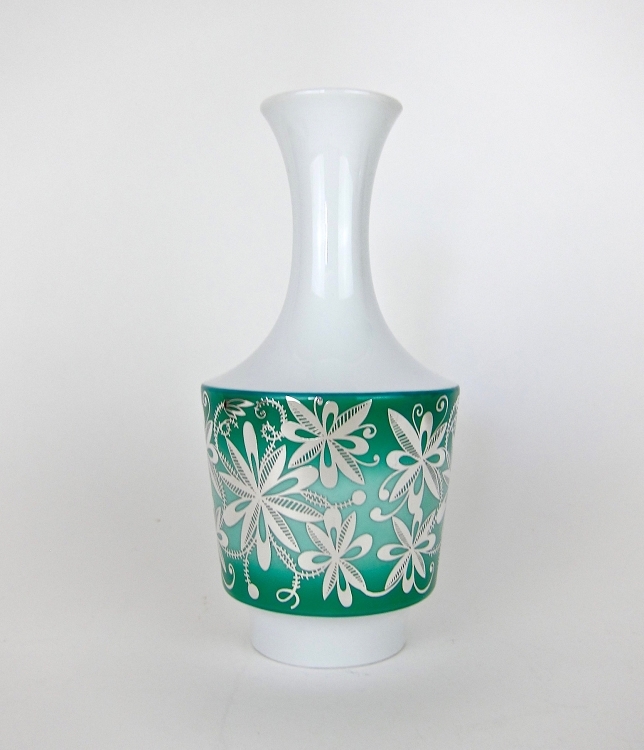 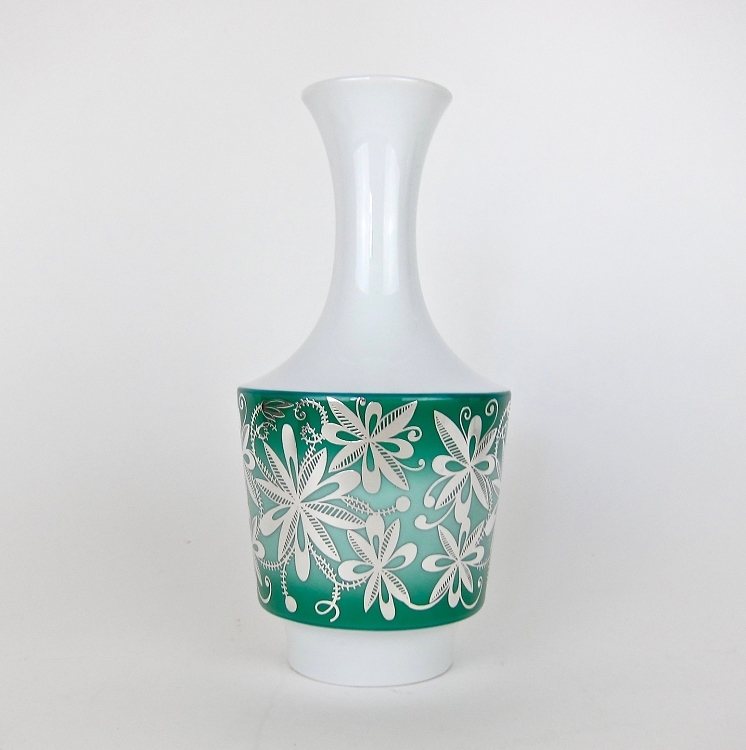 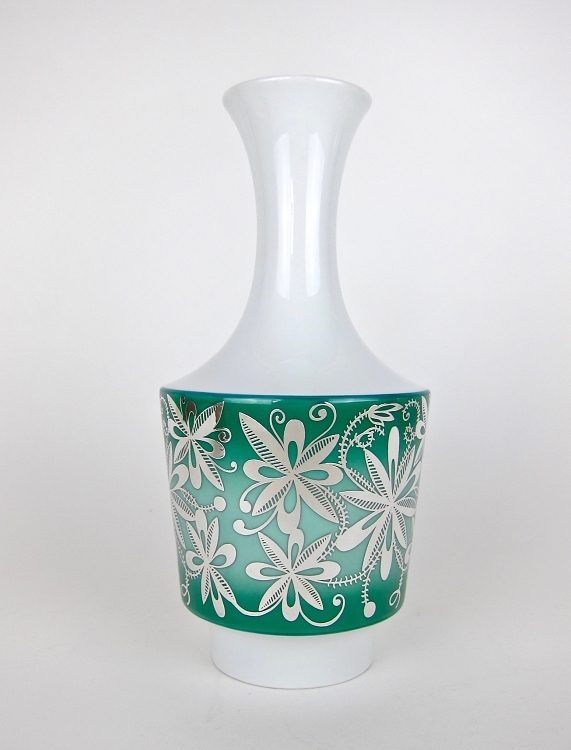 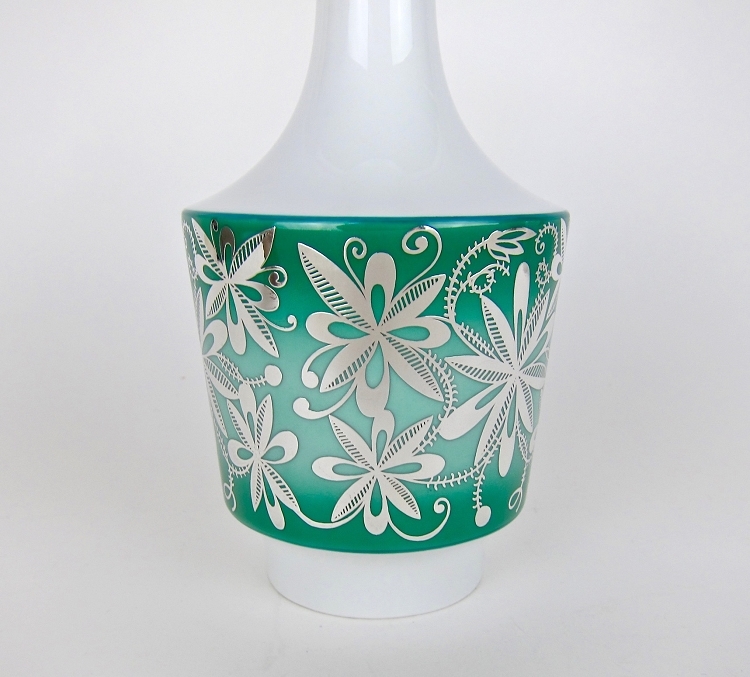 A Mid-Century Edelstein porcelain vase decorated in the silver studios of Spahr & Co. of Germany, dating circa 1960s. 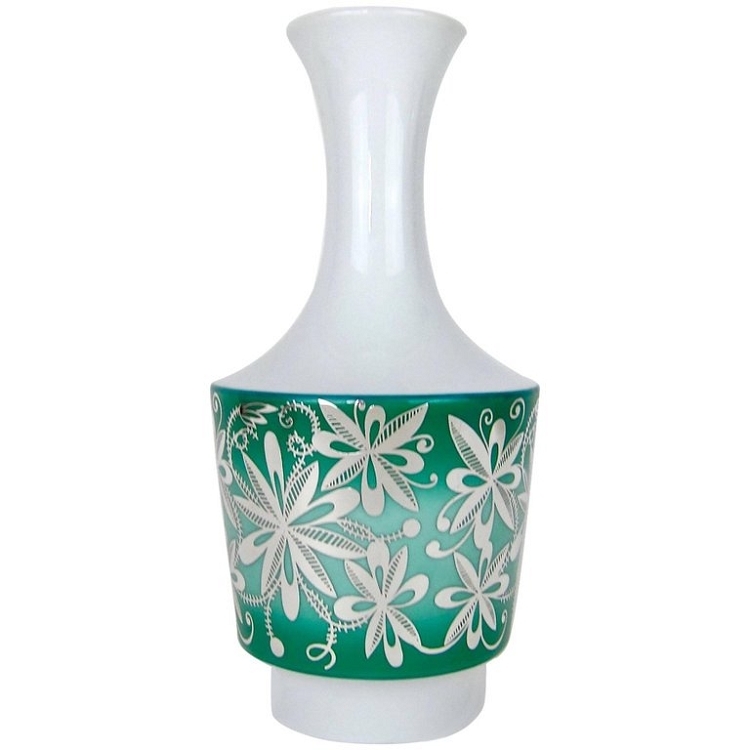 The vessel is decorated with stylized, modernist blossoms, tendrils and leaves of pure silver overlay against a contrasting, atmospheric ground in shades of green. 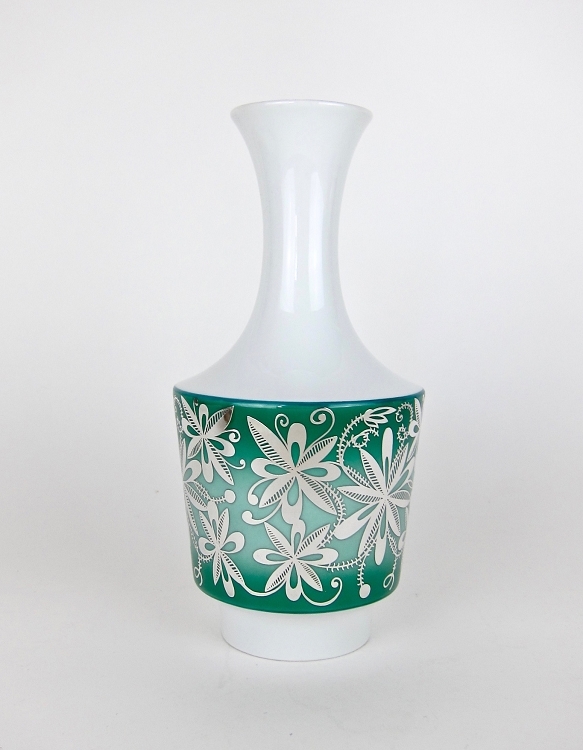 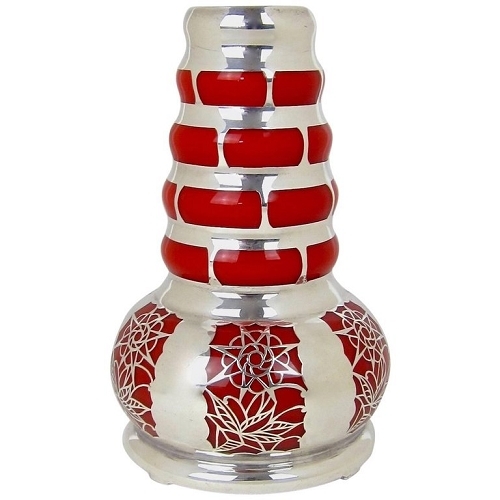 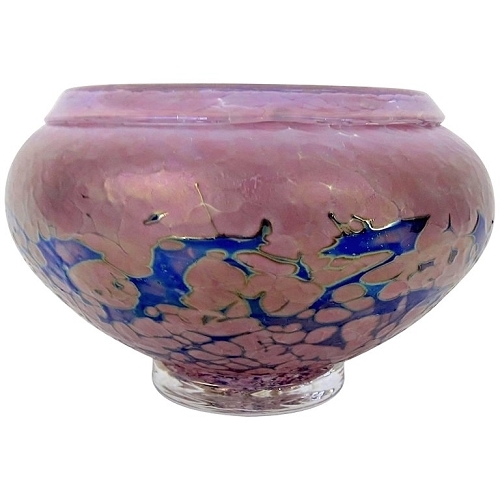 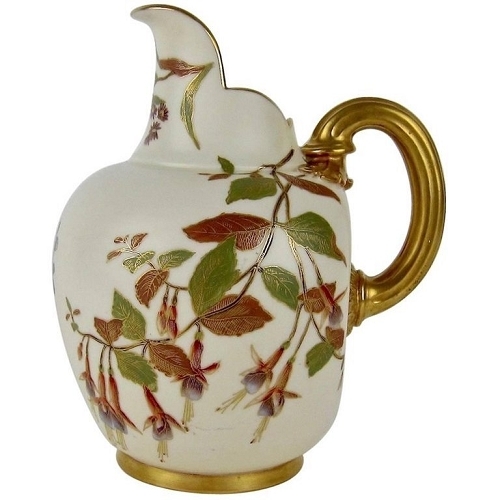 The vase is in very good condition, measuring 9.5 in. 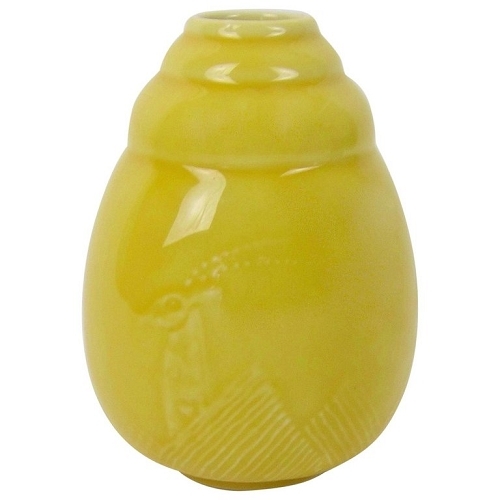 H x 4.5 in. 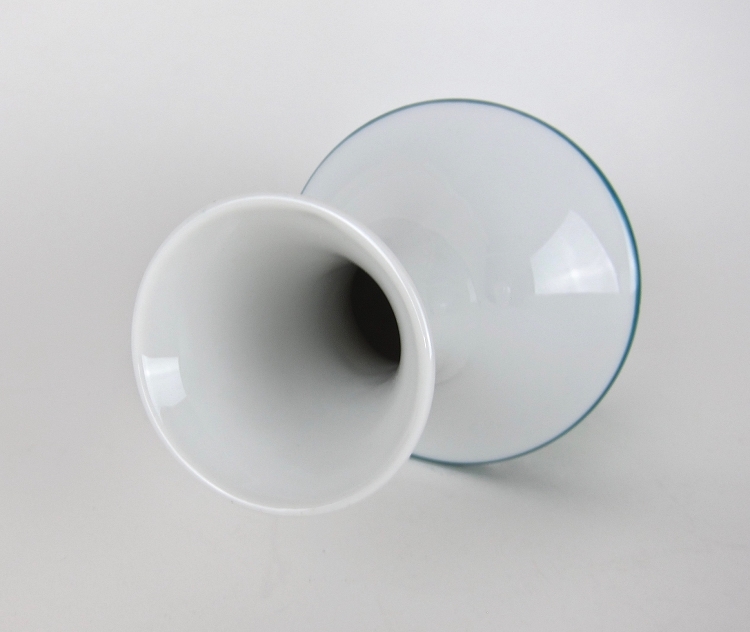 Diameter (at widest). 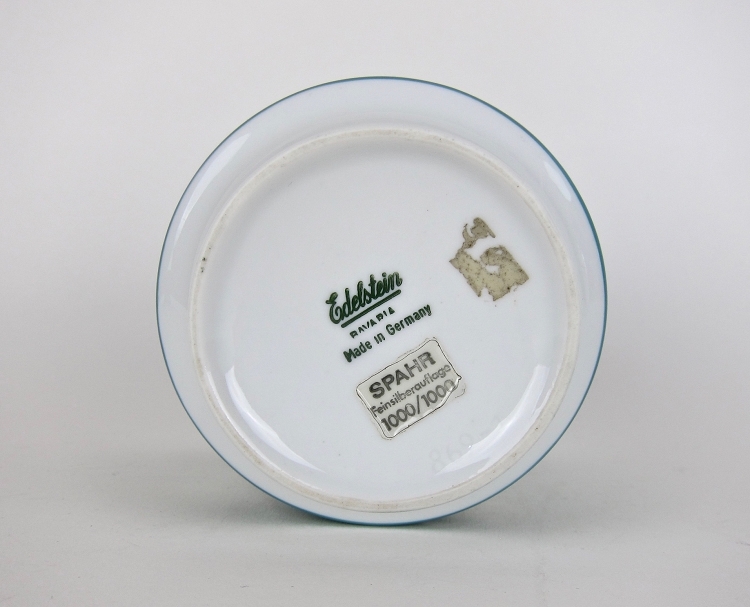 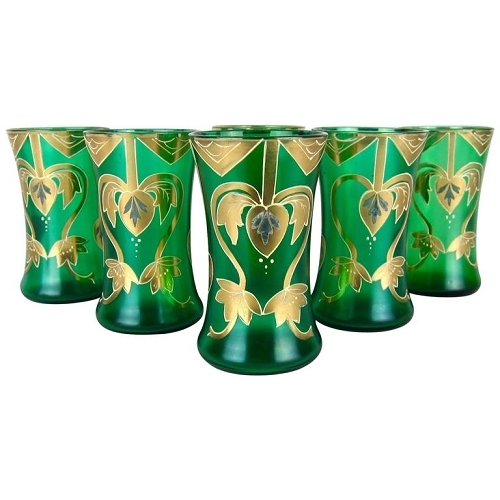 The base has a green Edelstein / Bavaria / Made in Germany printed factory mark underfoot over a label that reads: Spahr / Feinsilberauflage / 1000/1000, signifying a pure silver overlay crafted from the highest quality of available silver.